This double-disk set with gatefold cover contained two 45s, with "Lumberjack Song" and "Spam Song" on one disc, and "Eric the Half a Bee" and "Bruces" (from "Live At Drury Lane") on the other. Although Python were quick to exploit the advantages of the audio domain, going so far as to release flexidiscs containing exclusive material, adapting their albums’ elaborate packaging to accommodate both cassettes and the now-extinct 8-track cartridge format, and even going to the trouble of including unique links and segues on the cassette versions of their albums, Python singles were very much an afterthought, which makes the existence of this 1976 double-pack of 7” singles all the more surprising. 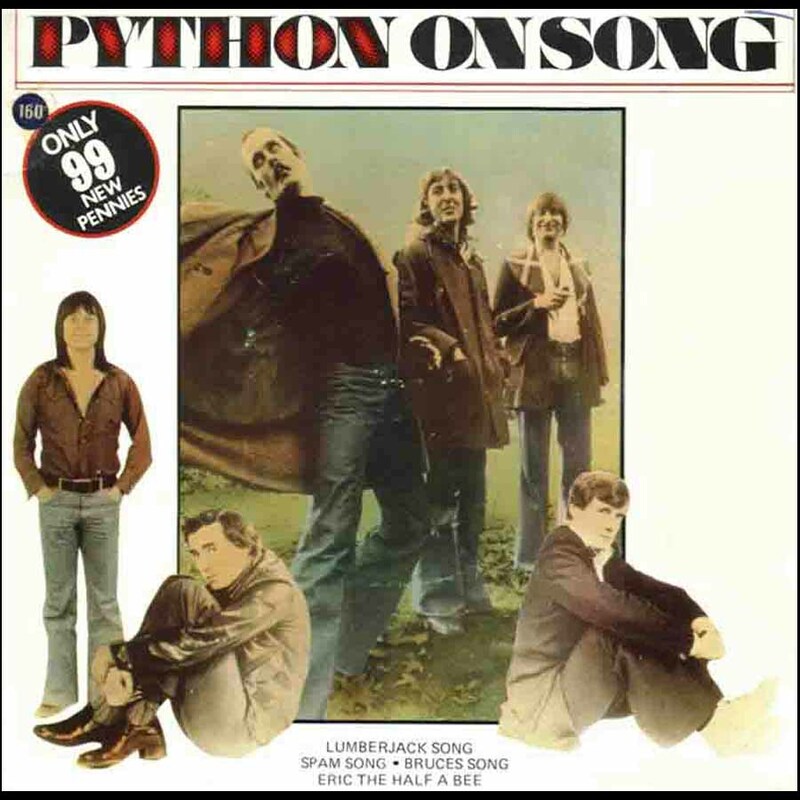 Wrapped in a gatefold picture sleeve, with some pressings fastened with a wax seal-style sticker and boasting signatures of the Python team, "Python On Song" collected together their most recent A side – a specially recorded studio version of "Lumberjack Song", backed with their first Charisma single, formally titled "Spam Song" but in fact the famous sketch in its entirety, using an alternate stereo mix culled from the long-deleted original UK edit of "Another Monty Python Record" (this mix later resurfaced on 1987’s "The Final Rip Off" album). It’s worth noting that "Lumberjack Song" was not cherry picked as a single until 1975, years after it was first introduced to viewers as part of the Pythons’ first BBC TV series. Palin’s diaries reveal that there was some deliberation whether to release the Drury Lane performance of the song (sung by Eric Idle) or to produce a new studio recording. The latter option won out, and a unique studio version was committed to tape, produced by no less a figure than George Harrison at his Friar Park studio, marking the beginning of a long and enduring association with the former Beatle and the Python team. 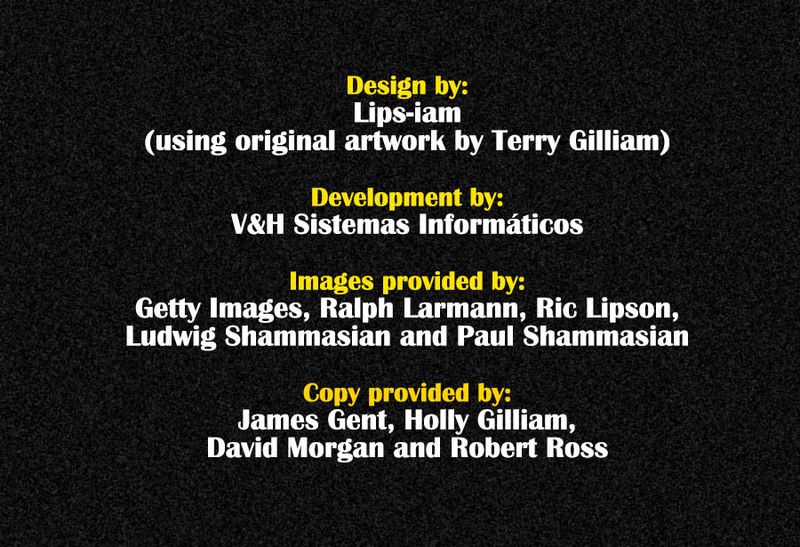 A remix of this recording, using an alternate take of the spoken intro, was later included on "Monty Python Sings", but the original single version remains a vinyl exclusive. The second disc consisted of evergreen Python singalong, the "Bruces’ (Philosophers) Song", lifted from Live At Drury Lane, coupled with "Eric The Half A Bee", the hit single that never was from "Monty Python’s Previous Record". The original single release of this song was backed by an extended version of "Yangste Song" from the same album, with the fade-out leading into Michael Palin inviting the listener to sing along to a unique instrumental version of the song, which must have been good fun on pub jukeboxes! Pythonmania was high when this double-pack was issued, but like its predecessors it failed to make any commercial impact, remaining a covetable collectable. Python would release further singles – "Brian Song" in 1979, and "Galaxy Song" in 1983 (the latter also issued as a highly collectable picture disc) – but would not reach the dizzy hits of the UK singles Top 10 until "Always Look On The Bright Side of Life" was a surprise number three hit in 1991, held off from the top spot by Bryan Adams’ endless vigil at the top spot that year with "(Everything I Do) I Do It For You", the theme from "Robin Hood: Prince of Thieves".